Need a Boost of Flower Power? 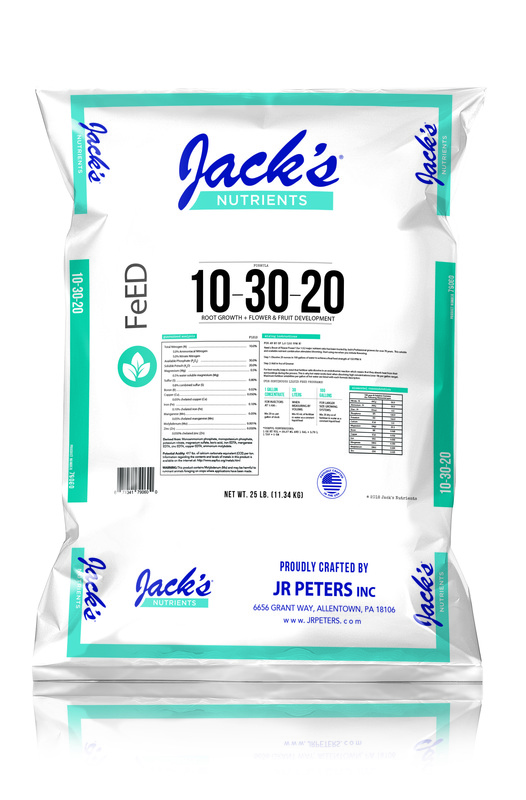 Our 1:3:2 major nutrient ratio has been trusted by Jack’s Professional growers for over 70 years. 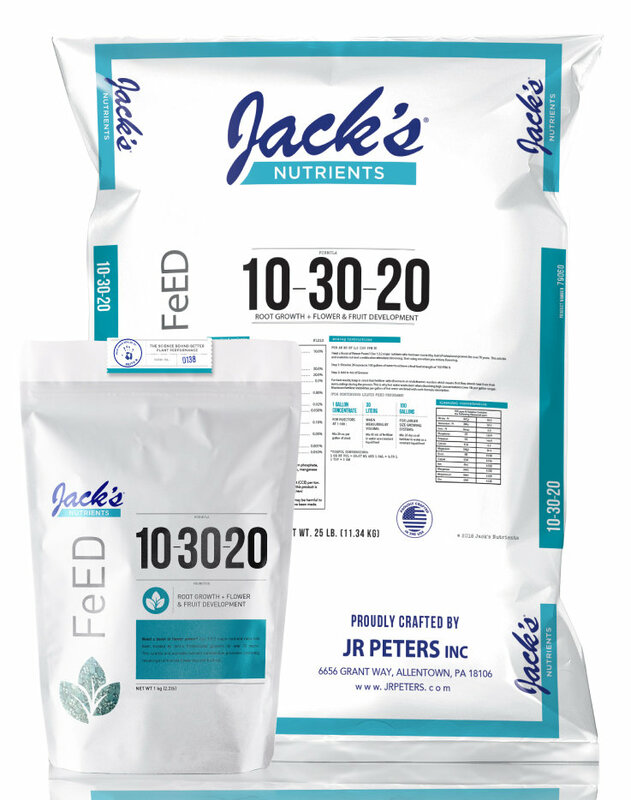 This soluble and available nutrient combination stimulates blooming, resulting in heavy bud and fruit set. Blossom Booster 10-30-20 is a Professional formula designed to produce more flowers and brighter colors on all indoor and outdoor plants. Feeds through both the roots and the leaves. 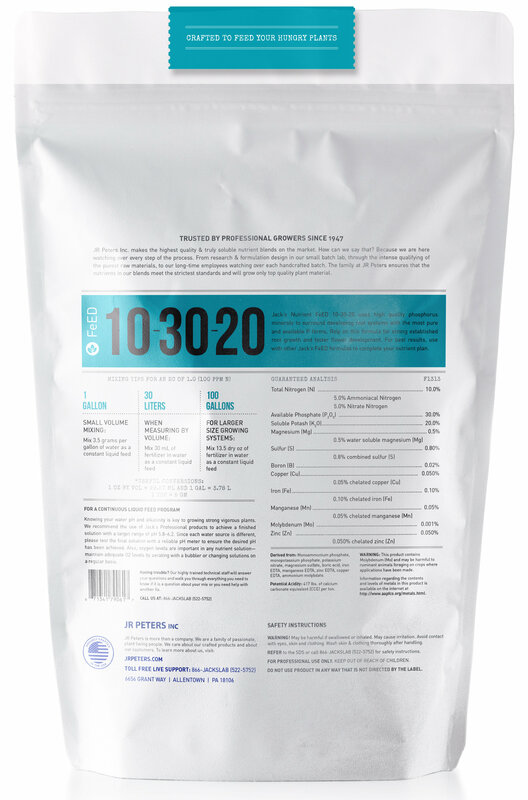 This is the Original Blossom Booster with the proven 1:3:2 nutrient ratio– the quality is unmatched in the home gardener market. Trusted by many professional growers as a tool to fill out a blooming container. This formula will produce the same GREAT results for you at home. All plants being grown hydroponically.